WayForward has done an amazing job with the costume DLC for its brilliant platformer, Shantae: Half-Genie Hero. Each costume has given you a genuinely new way to play the game, and that tradition has continued with two new costumes that are being provided to players completely free, as a “thank you” to fans, according to WayForward. The first costume is the jammies! Shantae bounces around wearing nothing but her sleepwear, and whacks enemies around the place with her giant pillow. Bosses ain’t got a chance. The jammies also gives her the ability to float around for a while on a luxuriously fluffy cloud. The other costume turns Shantae into the Blaster Master tank, which is both incredibly delightful, and incredibly weird. These two new game modes add even more to what was already the most extensive and high-quality 2D platformer available on Nintendo Switch. How does an “industrial gothic, hand-painted, side-scrolling action RPG” sound to you? It probably sounds like a mouthful (and it is), but that’s what Moonfall Ultimate is, and it sounds pretty good to us. We’re being promised Metroidvania-style exploration and all the fixings that you’d expect from a side-scrolling brawler, including a 2-player co-op mode and an endless arcade mode. You won’t have to wait long for it, either. Though it has just been announced, the game releases on September 4 for PlayStation 4, Nintendo Switch, and PC (via Steam). It releases on Xbox One on September 5. It’s got a great little trailer, so add this one to your “to watch” list. We have some new screenshots of Compile Heart's latest! Compile Heart has announced a new IP, called Arc of Alchemist. With concept art from Yoshitaka Amano himself, and directed by Kousuke Uchida, this one looks set to be one of Compile Hear's more "serious" efforts, and it's looking really, really good. 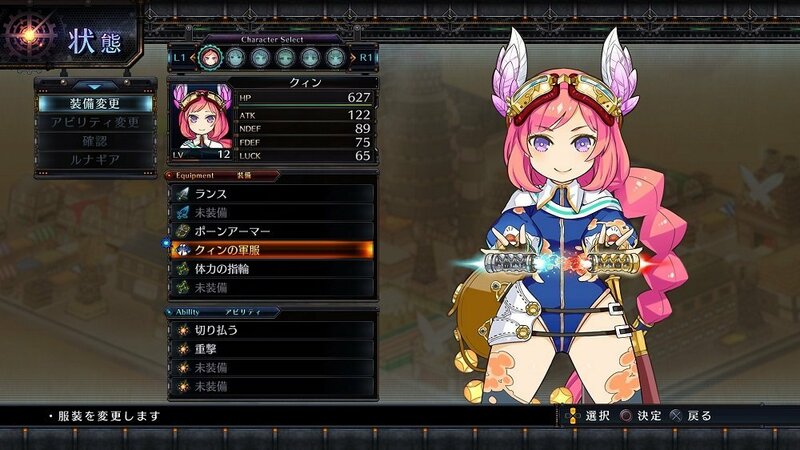 The game's narrative is set in a vast desert, and in addition to the awesome screenshots, some of the key details of the game are as follows: Arc of Alchemist utilizes a new type of action battle system in which various strategies can be developed. Form your ranks and head into strategic action battles together with your comrades. In the world of Arc of Alchemist, there exists an ancient alchemist device called the Luna Gear, which can only be used by the protagonist Quin. 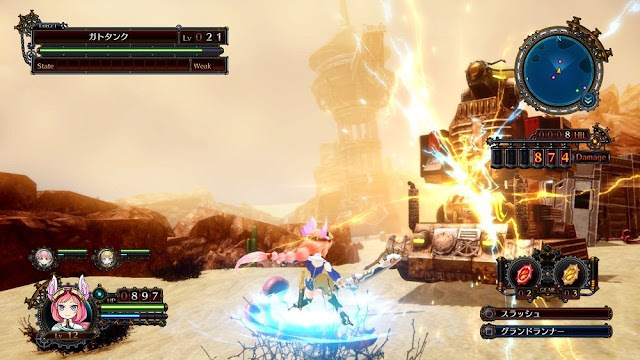 Luna Gear parts, known as Orbs, each have their own attribute that enables the use of Gear Actions in the field, such as lighting a fire, creating wind, etc. By combining two orbs in battle, you can activate even more powerful Gear Actions, enabling attacks. 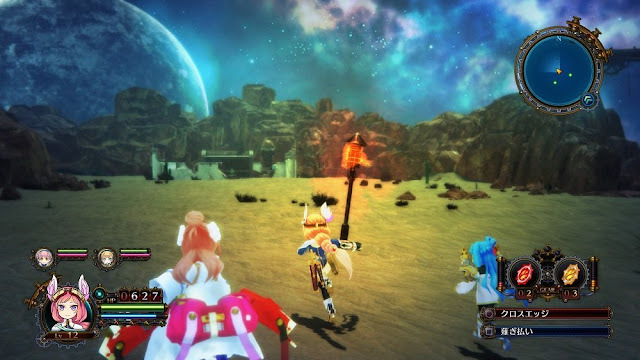 Skillfully utilize the Luna Gear according to the situation to annihilate your enemies. There's no release date for the game - or confirmation of a western release - at this stage. Koei Tecmo really seems to have lost the plot with Dead or Alive 6. They keep announcing fighters, and it's all the male characters, as those were ever the popular ones. Nonetheless, that's what's being announced, and Koei has unveiled two new fighters; Diego, who is new to the franchise, and Rig, who returns from Dead or Alive 5. Diego's apparently a street brawler who "grew up in the back alleys of New York". His moveset is all about playing dirty - headbutts and tackles and all that inelegant stuff. Rig, meanwhile, is the tough dude who worked on oil platforms (get it, his name is Rig!) and is a specialist in the taekwondo martial art. So far the roster that has been announced includes Diego, Helena, Hayate, Kasumi, Jann Lee, Rig, Ryu and Zack. No Marie Rose. No Hitomi. No Kokoro, and no Lei Fang. I can only assume (and hope) that all that stuff is being saved for Tokyo Game Show.